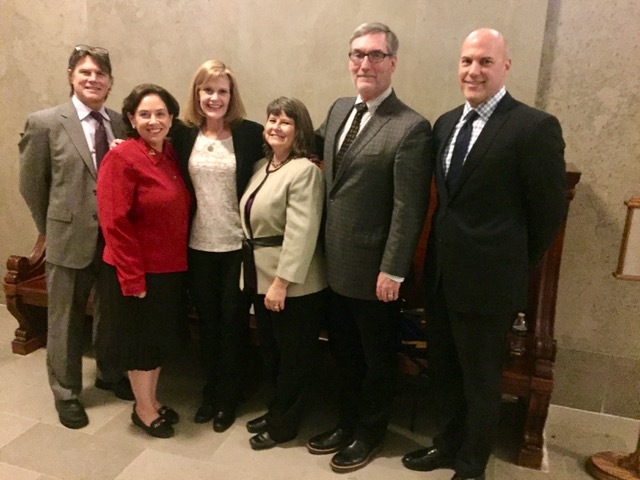 This photo includes some members of the team that worked for five years to change legislation in Missouri with regard to access to licensure for clinical psychologists who graduate from programs accredited by PCSAS. Included in the photo (from left) Tim Trull (University of Missouri in Columbia), Ann Steffen (University of Missouri in St. Louis), Rose Windmiller (Washington University in STL), Debi Bell (University of Missouri in Columbia), Tom Oltmanns (Washington University in STL), and Jorgen Schlemeier (our government consultant). Key support throughout the process was also provided by colleagues from St. Louis University and the University of Missouri in Kansas City.